Shy and withdrawn schoolchildren in Melton will receive extra help to build their confidence and self esteem thanks to a £9,300 lottery grant awarded to St Francis Catholic Primary School. The Big Lottery Fund ‘Awards for All’ grant will enable St Francis - and its partner schools St Mary’s CE, Brownlow and The Grove - to continue to deliver Pyramid Clubs. The clubs, which first ran in Melton in 2004, support children who may be overlooked in schools - such as those with a quieter nature or who become easily anxious. 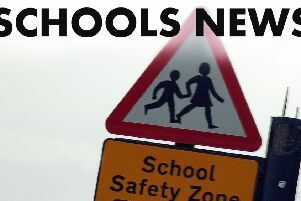 The Melton schools will be running clubs starting later his term. Any volunteers who would like to train to become club leaders can call Mrs Anderson on (01664) 562891.